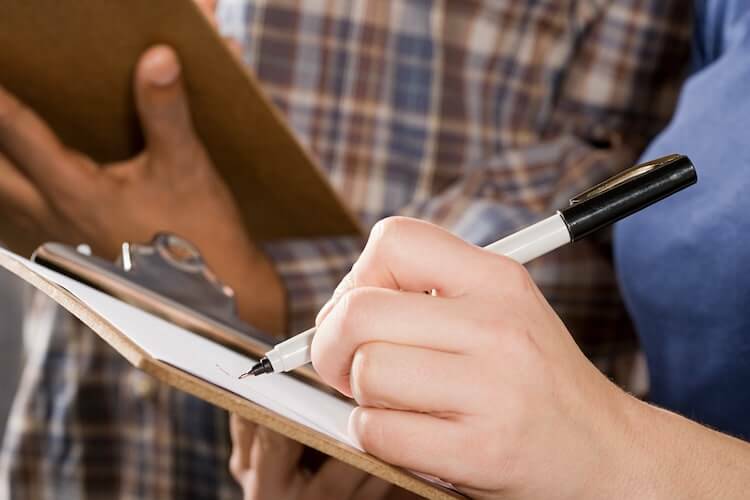 Safety Shower Surveys are designed to provide the owner or end-user with the complete picture of the condition of their on-site showers and eye-washes. Our survey uses ANSI Standard Z358.1-2014 to verify the compliance of each device as it relates to the standard. The shower head must be 82 to 96 inches above the surface of the floor. Valves shall be designed to remain on without the use of operators’ hands and should go from on to off in 1 second or less. A shower must provide a column of water 20 inches wide at 60 inches above the surface of the floor. The shower must deliver a minimum of 20 gallons per minute (GPM). Outlets should be protected from airborne contaminants. Eye-wash outlets should be 33 to 53 inches above the floor and six inches from the wall or nearest obstruction. Eye-wash equipment should deliver 0.4 GPM minimum and eye face equipment to deliver 3 GPM minimum. Eye-wash should deliver a controlled flow to both eyes at a velocity low enough to be non-injurious. All employees shall be instructed in the use of emergency equipment. Combination unit components should be capable of operating simultaneously and be used simultaneously. All emergency equipment should be identified with a high visibility sign. The safety unit must be located on the same level as the hazard, and the path of travel should be free of obstructions. To further aid you in conducting your ANSI Safety Shower Site Survey, you can view our step-by-step video, or download and print our Safety Shower Site Survey Checklist.